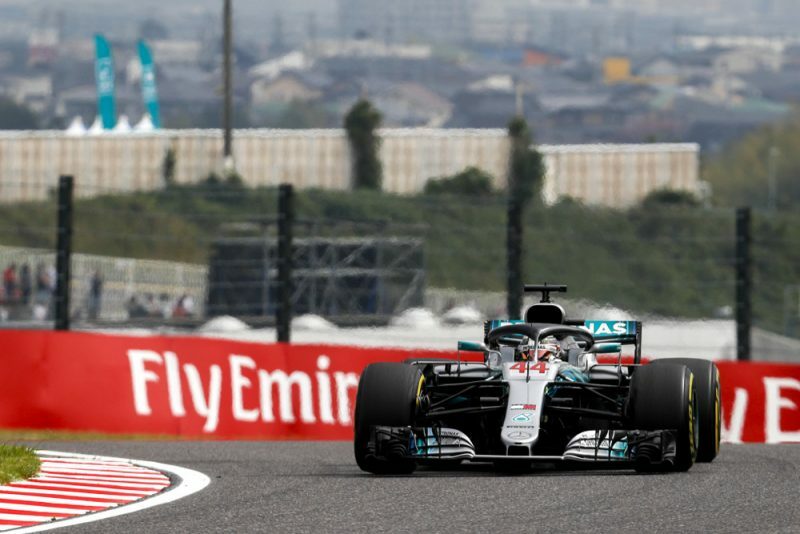 Lewis Hamilton has set the pace after the opening day’s running at the Formula 1 Japanese Grand Prix in Suzuka. 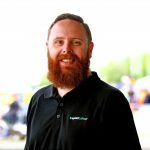 The world championship leader headed a dominant performance from Mercedes which saw he and team-mate Valtteri Bottas first and second across both 90-minute practice sessions. Quick on soft rubber, Hamilton then hit home his pace advantage during his qualifying simulation late in Practice 2 to set a 1:28.217s. It proved to be almost half a second faster than anyone else, including Bottas, who could manage no better than 1:28.678s. Third fastest was Sebastian Vettel (Ferrari), though almost a second adrift of the two Mercedes, followed by Max Verstappen (Red Bull), Kimi Raikkonen (Ferrari), and Daniel Ricciardo (Red Bull) as the last of the leading three teams. Esteban Ocon was best of the rest for Racing Point Force India, though at 1:30.035s the Frenchman was 1.818s slower than Hamilton’s lap. Eighth fastest was Romain Grosjean (Haas) ahead of Marcus Ericsson (Sauber), and Brendon Hartley rounding out the 10 for Toro Rosso. Charles Leclerc had an eventful session which included an excursion at the Spoon Curve and running wide at the Hairpin on his second qualifying simulation lap. His first had been thwarted by Lance Stroll, the pair entering the Triangle Chicane side-by-side. Meanwhile, Pierre Gasly spent much of Practice 2 in the garage with a fuel cell issue before finally emerging in the final 15 minutes of the session. Earlier, Hamilton topped the opening session from team-mate Bottas, the duo more than six tenths clear of third placed Ricciardo. The Australian had topped the session before falling to third as the session progressed, with Raikkonen fourth ahead of Vettel and Verstappen. A spin from Alonso saw the Spaniard find the gravel at the exit of Degner 1, escaping to set the 18th best time of the session. Gasly and Hamilton almost tangled when the Frenchman backed off before starting a lap, the Mercedes driver locking a brake as he avoided the Toro Rosso. The incident was referred to the stewards for investigation after the session with Gasly reprimanded for the incident. Practice continues on Saturday prior to qualifying at 1600 AEST.